By his ninth signature shoe, Michael already won 3 titles and called it quits (he felt he had nothing else to accomplish). LeBron, on the other hand, is just getting started. Despite the missing championship piece to the jigsaw puzzle of greatness, LeBron James has built himself quite a legacy thus far and has already established his namesake among the greatest signature sneaker lines of all time. 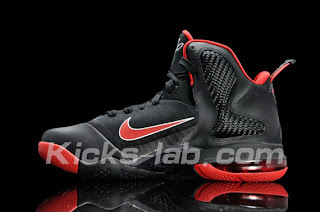 He joins Michael Jordan as the only other Nike/Jordan athlete to have reached nine signature shoes, and as one of the lead figures of the Nike Basketball campaign, it's expected to see the Nike LeBron display the best and brightest the Swoosh has to offer. 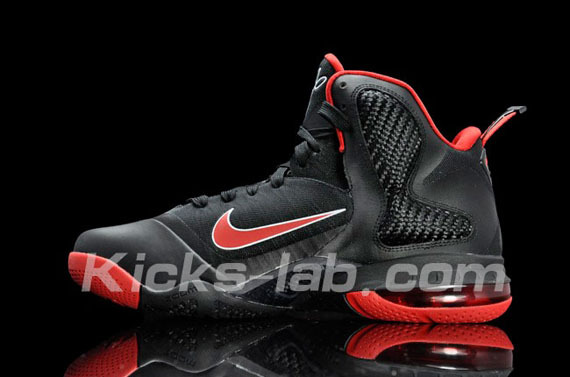 The Nike LeBron 8 was unlike any other in that it featured three different installments and two completely different shoes. 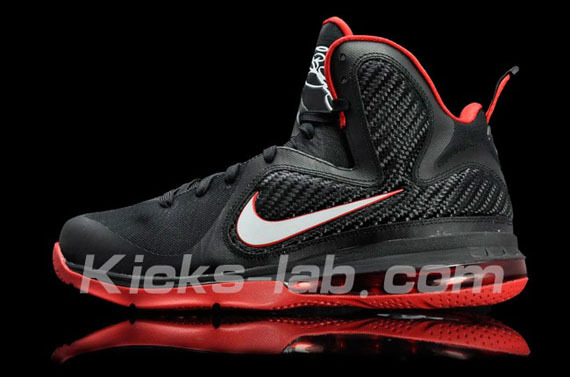 The LeBron 8 V/1 and V/2 featured identical silhouettes, but with alternate materials, but the V/3 (or the P.S.) 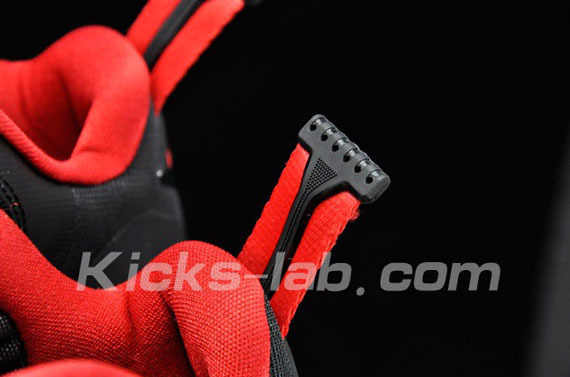 was a radically re-tooled sneaker, utilizing the Max Air / Zoom Air footbed and Hyperfuse technology. 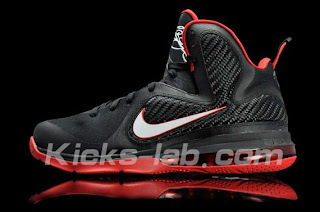 The Nike LeBron 9, previewed here on Sneaker News back in March, will carry over from the LeBron 8 P.S., using Hyperfuse and a similar cushioning platform, but will also feature Flywire along with a carbon-fiber shank plate and carbon-fiber weave panels on the upper for added stability. Additional details include the oversized autograph on the tongue, the heel-tab mimicking an F1 race-car spoiler, an all-new herringbone traction on the outsole, and LeBron's new LJ logo. 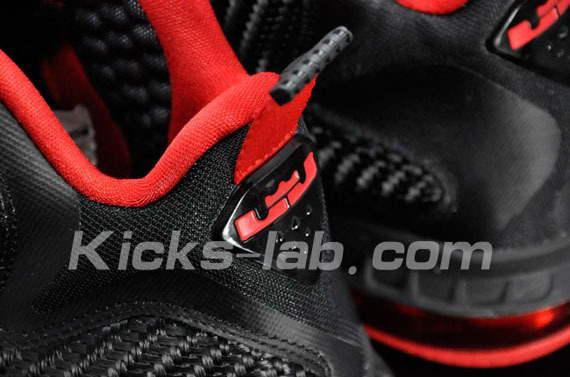 Check out this first look at the Nike LeBron 9 below and stick with Sneaker News for all your Nike LeBron 9 updates. via kicks-lab.